***SHORT SALE*** Privacy and comfort collide in this custom-built home on 2.72 open acres in the exclusive equestrian community of Arrowtree Reserve. 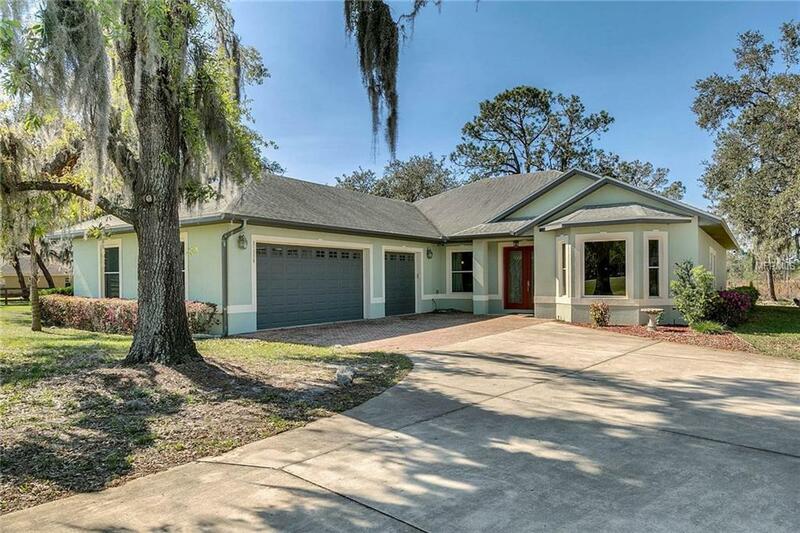 As you enter this 2676 sf home, you will be awed by the custom installed hardwood flooring, custom designed tray ceilings, and the extensive crown molding that goes throughout the home. This immaculate home features a beautiful chef's kitchen equipped with a gas burning stove, double oven, work island with sink, granite counter tops, an oversized pantry and a huge amount of storage. With an oversized family room, formal living room with fireplace, formal dining room, nook, breakfast bar, office/den, and oversized second and third bedrooms this home is perfect. The huge master suite features a whirlpool jet tub, double vanities and two walk in closets. The large covered/screened-in Lanai has a hot tub and access to 2nd bathroom from outside. The home also features a 3 car oversized garage, RV parking pad, a tankless water heater, and a lifetime warranty on all of the windows. If you need more space, this is the home you have been dreaming of!